In the early 19th century, when groups of African Americans immigrated to the shores of West Africa seeking respite from oppression, they brought along their rich “soul food” recipes, which they incorporated into the culinary traditions of the West African tribes they encountered. 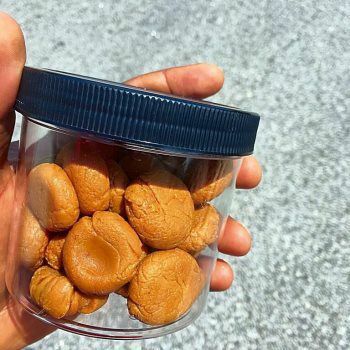 The result is Liberian food, a combustible array of richly seasoned stews, soups, pastries and sweets that will excite your taste buds and leave you with a “finger-licking” experience. This unique blending of a variety of recipes combining the culinary traditions of people of African descent with their diverse historical experiences is what makes Liberian cuisine truly Africa’s soul food. 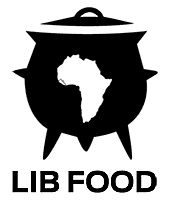 LIBFOOD was founded to share this finger-licking experience with you in the comfort of your home. Based in Atlanta, Georgia, LIBFOOD is an innovative gourmet mail order food company that delivers to all 50 States. In Liberia, it is impolite to ask your guests: “Would you like to eat?” Instead, people say: “Come let’s eat.” Therefore, in the spirit of that hospitality, we also invite you to come and eat with us to experience Africa’s soul food. Select from our soups, specialities and sweets and have them safely delivered at your convenience. Our Chefs prepare gourmet African meals weekly to serve the needs of you, your family and friends. Receive your selections right on time in a securely packaged and safe manner! "There were two wrong notions I held until my encounter with LIBFOOD.COM; the first being that nobody could make my favorite meal (Red kidney beans) better than my mother, and the second being that my favorite meal was indeed Beans! After a stressful couple of weeks, my sister sent me an order of Beans from LIBFOOD.COM." "I have lived abroad for many years and any opportunity to eat Liberian food is precious. When I first tried LIBFood, I was so impressed. I ate and ate and ate. And when I went back to Addis Ababa, I kept thinking how I wished I had some of it with me." "I'm an unabashed foodie living in northern California, a foodie's paradise, for the past thirty years. During this entire period, I have not had access to good tasting Liberian food unless I tried to prepare it myself, without all the key ingredients, or returned home."